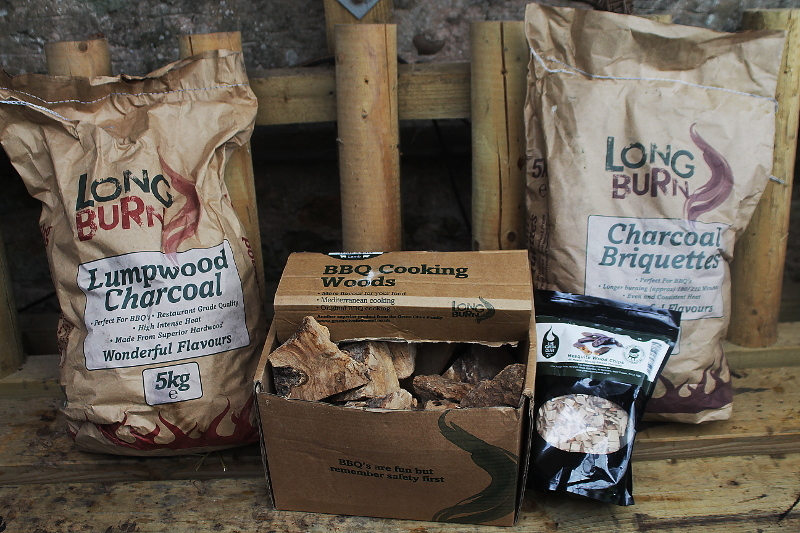 I’ve been going through a bit of a different phase in the charcoal I use to BBQ with this year, In previous years I’d always used Booker Restaurant Grade lumpwood, but have really struggled using it earlier in the year, finding bits of rubber and other rubbish in the bags, and finding the charcoal itself has an off smoke, and spits a lot. So I’ve been doing a lot of experimenting, and am certainly now in love with the different woods of Oxford Charcoal, and the clean burning, steady temperature of ProQ cocoa briquettes. I was contacted by the Green Olive Firewood Co. earlier in the year, to see if I’d like to try some of their products. The lumpwood is quite dense and has a lovely long burn time, with no silly spitting, and a nice subtle level of smoke, definitely agree that is has Wonderful flavours, and comes out at £14.99 for a 10kg bag, buy 10 bags and it comes down to just over a tenner a bag, which is pretty good value for this quality. The size of the chunks is ideal as you can see in the pic above, and perfect for smoking or cooking dirty steaks on. 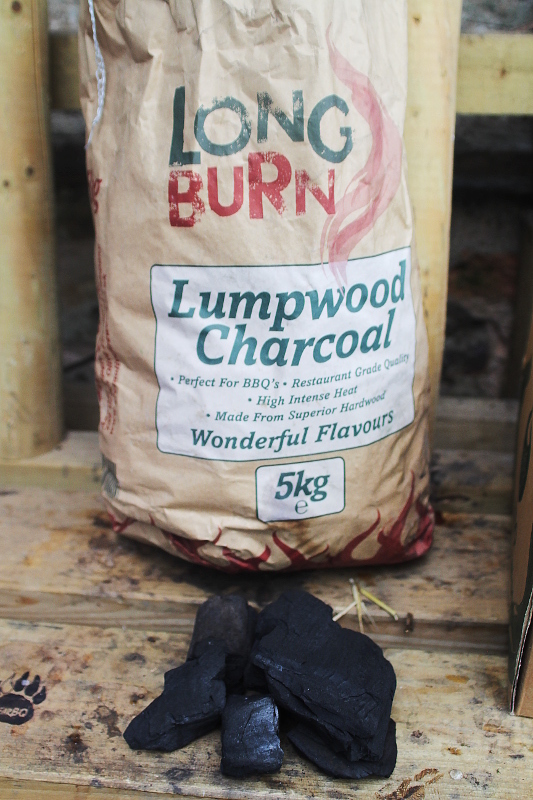 I’ve already seen a fair few people using and enjoying the lumpwood in the CountryWoodSmoke Facebook Group. The briquettes are great quality too, now I’m not usually a briquette user, unless it’s heat beads or coco shell, but I found these to be really nice, a slightly gentler heat than heat beads, but very usable for my low’n’slow cooking. The briquettes easily lasted 4 hours in an open grill, but a lot longer at lower temperatures, burnt nice and even, and had a clean smoke, compressed and using startch as a binding agent, I was pretty happy with the quality of these. They come in slightly cheaper than the lumpwood £13.99 for 10kg again with a good saving in bulk. The mesquite chips sent, were nice to smoke with, but I always find mesquite a bit on the strong side for most of my cooking. The real revelation however was the olive cooking wood, the flavour they gave the food was unexpectedly good, a couple of chunks mixed in with the lump worked a treat, and worked so well when I gently cooked a rack of lamb over the embers adding a subtle toasty smoke to the lamb, if you were cooking more confined in a smoker you would only use a lump of this, but a couple of lumps on an open grill worked really well. A couple of boxes of these come in at £20 for 10 kg, and I’ll certainly be going back for some more of these, they also supply some other awesome wood flavours, ornage wood and white oak jumping out at me. Verdict, definitely worth a look, they deliver too…. I was sent the products to test for free, but was free to give my opinion and write this review. Thank you for this article/review. I’ve recently taken delivery of a PBC and I’m looking for an alternative to Kingsford briquets ( PBC’s recommended fuel). I’ve only “fired up” three times so far and tried a cheap bag from Go Outdoors, Heat Beads and a year-old bag of lump wood. Surprisingly, all gave reasonable results but not as good as I’m looking for. My next cook off will be with Kingsford Original but at over £50.00 for nearly 7 kg I won’t be re-ordering! The Long Burn charcoal briquettes pictured here might just be the one? Thanks for the advice – bought some Big K restaurant grade which I’ve used in the smoker and has been okay, also some briquettes for the BBQ (Dancook) which have been okay but don’t seem to last much longer than supermarket/petrol station ones, so disappointing. I’ve been looking at local charcoal suppliers but they seem more expensive than buying from Amazon and hard to get hold of (ie, emailed and no response). I found these and wasn’t sure but they’re stocked by our local garden centre so will try a bag of each. I like the sound of the Olive wood, although they don’t seem to have that in stock…. Pleasure Grant, let me know how you get on. 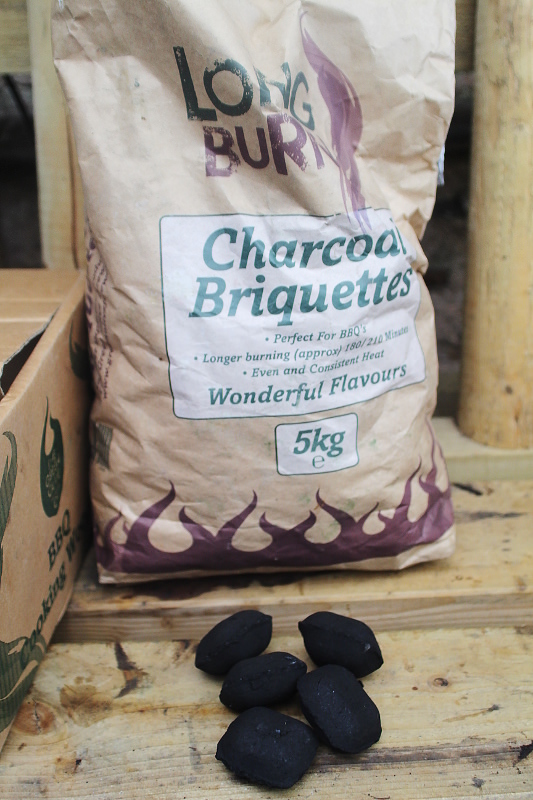 I’ve been using the Green Olive longburn briquettes for 2 or 3 months now (about 30kgs) and I can’t think of any reason to change! Approximately 80 briquettes smoke/burn for 12 – 15 hours (sometimes longer) and give a good (though subtle) flavour. For brisket & ribs I do add a few ounces of oak or apple but for chicken just the charcoal is good. I have tried many different charcoals, including the infamous Kingsford, but this Green Olive one beats them all by a long shot! Great to hear that David, it’s a good product. I’ve been using the Green Olive longburn briquettes for 2 or 3 months now (about 30kgs) and I can’t think of any reason to change! 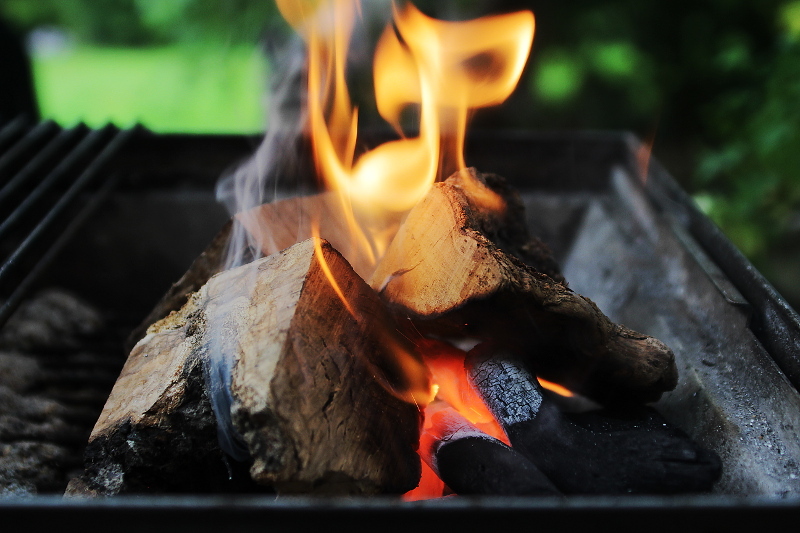 Approximately 80 briquettes smoke/burn for 12 – 15 hours (sometimes longer) and give a good (though subtle) flavour. For brisket & ribs I do add a few ounces of oak or apple but for chicken just the charcoal is good. I have tried many different charcoals, including the infamous Kingsford, but this Green Olive one beats them all by a long shot! .